The year was 1998 when my life changed for ever – I got married. ‘You complete me’ turned quite true for me. We travelled back to USA a week after marriage where I was employed as a IT professional with H1B visa ( temporary worker). Next year we visited Bangladesh and stayed for a month. It was during this trip I got sick possibly from Hepatities A which somehow managed to mess up with my bone marrow. I suffered severe aemia for months and literally returned from the mouth of death. After that fourteen years had passed and I hadn’t gone back. Some details of preparations omitted, finally the day came when we travelled to the Toronto Pearson airport in a taxi cab that didn’t look like one. It was an unmarked car driven by a Pakistani gentleman and was about 30 dollars cheaper than more conventional ones. Our main flight with Etihad was leaving from O’Hare, Chicago at 8:30 PM. We were to take the connecting AA flight from Pearson scheduled to leave at 4: 30 PM. We unloaded our bags and carry-ons, went through the regular check in process and got settled in a nice looking waiting room with neatly arranged cushioned chairs all ready to board in our flight to Chicago. Little we knew what sufferings were waiting for us. Not sure exactly when the rain had started but it showed no sign of stopping. Our flight was delayed for hours as it continued to pour to the point where the runway looked like canals. The waiting room where we waited was partly flooded from a leakage from the roof. We had to quickly relocate to another waiting room on the floor above. The problem was we lost our seats and had to be happy with floor space where many others like us had took refuge. Fortunately my two kids, 12 and 7, who are the source of constant agony under normal conditions, were totally engaged playing games on their newly purchased tablets – a very wise move on my part. The free wi-fi in Pearson Airport was also a blessing, something that we did not find anywhere else. The kids even had some fun competing with other kids and even adults in capturing electric outlets to keep the juice for their little machines going. Anyway, several hours later we were finally boarded in our plane, where we sat patiently for another hour or so as it trolled runway to runway for a opportune moment to take off. We already knew our connecting flight of Etihad was a gone case. When we finally reached Chicago O’Hare airport around 9:30 PM we did some very wrong things. We took the advice of an disinterested AA attendance and unnecessarily made the trip to Terminal 3 to Etihad counter only to find out that the flight wasn’t running late and had taken off a while ago as scheduled. AA had provided us a support number. Unaware of the fact that there were free phones at the AA terminal to make these calls I used my cellphone in an attempt to find an alternate way to get out of Chicago and to our destination. It took me three hours before everything was done, to my relief and nearly 250 dollars in telephone bills. Not to mention the desperation and frustration of my wife who all along suggested that we should have gone back to AA terminal and demanded that they took care of us. I do listen to my wife but never before the event passes. Some men do not learn from their mistakes. However, they are also the ones who are good at regretting and asking for forgiveness. Nature seemed to find ways to keep things in balance. When we finally returened to AA terminal it was 1 AM and all attendances had left. Our connecting flight was next morning at 10 AM. We needed a place to stay for the night. Failing to locate any AA attendance to get a hotel pass I took the good decision to call up a local motel 6 and arranged their free shuttle to come and get us. When we finally reached the motel it was 2 AM in the morning. We were all so tired that within fifteen minutes everybody were under the spell of deep sleep. 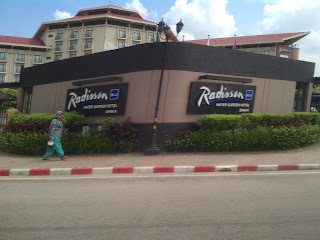 Next morning we ate our free continental breakfast, paid our bills and took the free shuttle back to the airport to catch our AA flight to New York from where we would take the Etihad flight to Abudhabi. This was a small plane and looked pretty crammed. But it was only for few hours and wasn’t totally unbearable. In New York we had to wait several hours in the international terminal before we were allowed to check in. This part was kind of painful as there were no seating arrangements and no food stores. We stood in long lines until the booths opened. We were quickly checked in allowing us to enter the actual airport terminals – the nice ones with all kind of stores and amenities. After another long wait we boarded the Etihad plane. This one was a large plane (Boeing 777) , very specious. The entertainment system seemed pretty good. Kids were excited, we were relived, now it was only the long trip that we needed to worry about. This leg of the trip was the longest – 13-14 hours. Sitting still usually causes knee pain for me. I had to stretch out a lot during the flight, a lot. In Abudhabi we had a short wait before we boarded the connecting flight to Dhaka. Fortunately we were provided business class tickets as there were no economy class seats left. Admittedly we had never travelled in business class. The five and half hour passed by in the nice care of the young lady who attended us all through the trip. Seats were specious and cozy. All the grudge that my wife had stored for me due to mishps in the Chacago evaporated quickly. She even smiled at me as if the whole credit was mine. Whatever! I’d take it. 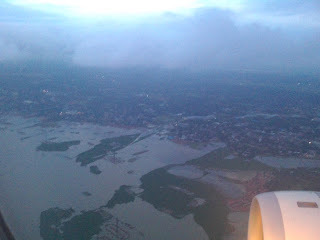 From above the ground one can see a lot of marshlands around Dhaka, the capital of Bangladesh. The city itself is very crowded with brick buildings, people and cars. My brother in law had come to receive us. Unfortuantely soon we found out our luggage had not arrived and was actually couldn’t even be traced. That was just great! We went to my brother in law’s house without the luggages, not even knowing when we might actually get them. We were told somebody would call us when they arrived and we would have to come to get them. No home delivery. Wonderful! 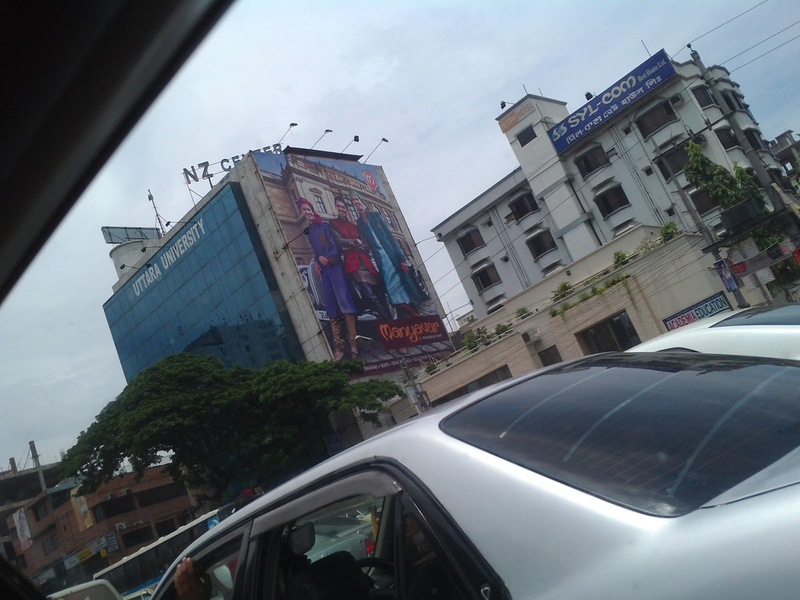 The first thing that one would almost certainly notice in Dhaka especially if coming from developed countries – the streets had no laws. Nothing wrong with the roads that had nicely marked lanes and the signals that worked just fine. The problem was nobody cared for either of them. The busses, cars, CNGs (motorized 3 wheelers running on natural gas), rickshaws and pedestrians all moved in just about any direction regardless of the color of traffic signals or the direction of the traffic. The concept of abiding by the traffic rules seemed a ridiculous idea. Nothing stayed in their own lanes, even in light traffic - a very rare finding. 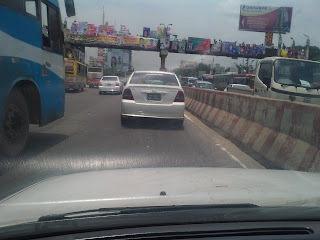 A Dhaka driver simply never drive within lanes and never stops at a signal. 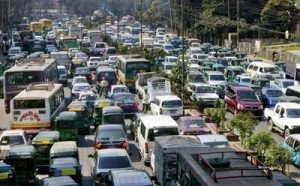 It is a total chaos, a total mess, a total failure of all things called traffic rules and regulations but yet in some weird magical way traffic moved, slowly and often randomly, but it moved. I guess it was a true reflection of the whole country – prospering but yet so extremely chaotic. Another thing one would surely notice in countries like Bangladesh - people simply do not have the concept of garbage cans. The whole city seemed like a big dump. Everybody throws just about anything on the roads, open fields, parks from inside the c ar, apartments, offices, houses. My parents live in their own house, a five storied brick building with several floors rented out. They stay on the third floor and my brother occuppies the fifth floor with his family. We went to stay with my parents. The theft and robbery is so rampant in the city that every house is literally enveloped in collapsible gates and grills made of steel. The front alley has a tall sturdy iron gate at the mouth with unarmed guards attending around the clock. A second tall, even stronger looking gate binds the six feet high wall that surround the house on a piece of land no bigger than one eighth of an acre. Once inside the boundary walls there are two other sets of collapsible gates before one can step inside our home. All the verandas, total three of them are secured with grills made of steel . The collapsible gate to the apartment is always kept locked and only opened when somebody familiar comes. Some of the security measures are present since decades ago. A few things were built later. Safety was a serious concern. I learned the thieves had come up with special cutters to cut through grills and locks. 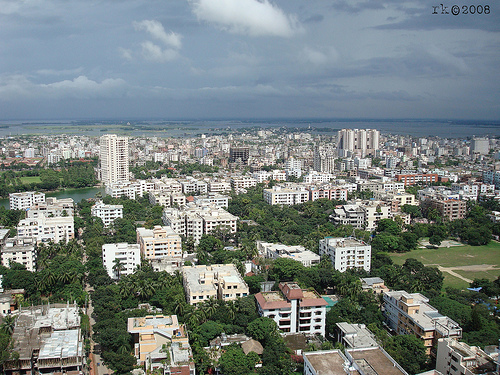 All the houses in Dhaka are built with brick and morter with flat roofs as it is a tropical land. It rains a lot so there are systems in place to ensure rain water do not sit on the roof. Years before when I was attending Dhaka University a student residential hall collapsed as rain water collected on the roof and the old building just couldn’t bear the extra weight. Many students died in that mishap. The hall was rebuilt. I along with some of my university friends went to see it later during my visit. My primary reason for this visit was my father’s sickness. He had been diagnosed with pancreatic cancer, locally advanced, the doctors said. He went to India – to Delhi Apollo hospital, to explore the possibility of performing a Whipple’s operation. Unfortunately oncologists there felt the conditions were not optimal for a Whipple’s operation. Instead they did a laproscopy surgery of the bile duct which took care of his diabetis, a sure outcome of pancratic cancer. My dad returned home and started his three week long chemotherapy program. The plan was if after the chemo the cancerous cells shrunk then the whipple’s operation could be performed. Cancer at any form is a pretty bad thing. My dad had always been the symbol of life, strength and congeniality. A super socially active person he was well known in various circles for his kindness and generosity – providing free treatment, medicines and monetery help to the needful. As a family physician he was remakably successful with most of his patients following him over the years. This time as I saw him after four years and first time after his cancer diagnosis I got a shock. He was only skin on bone. The transformation from a healthy 73 year old man to his current form seemed absurd. In our family and extended family only a few had died before 90. I wasn’t expecting him to leave us before many more years to come. We embraced quietly. “ I heard your trip didn’t go very well.” He said softly. My only brother, five years younger than me who I hadn’t seen for fourteen years gave me a big hug. He looked just the same as I remember seeing him while I had grown older with sign of aging poking out from every area of my body. We chatted for a while, trying to catch up for the long gap. We had spoken on the phone sometimes but that is barely an alternative for an in person conversation, sitting within arms length. He was married with two beautiful daughters. I hadn’t met any members of his family before, including his wife of twelve years. This was a moment I had been really waiting for. Who blew me off was his youngest daughter, a five year old bomb with an incredibly cute face, precocious words and busybug attitude. ”Are you my oldest uncle?” She asked at our first meeting. I happily nodded only to be hammered with her next question. She looked at me in disbelief, nodded sort of understandingly and gave me a big hug. We became good friends there after. My wife had brought some gifts for the sisters. Once those were delivered she was happy and content. However, what really impressed her were the tablets. Soon she was running after my two children begging for some time on the tablets which didn’t prove to be an easy task as I had to intervene very often to favor her. My older niece was ten, struggling with weight, had turned quiet since she turned a pre-teen. She hung around but spoke very little. It took a while before we connected. My parents had a few people who provided various services to them. They had a driver in his thirtees driving the 1995 Toyota corolla, a teen who took care of the small pharmacy located in the supermarket nearby, a young man who helped with daily chores including taking my father to the doctor’s office and clinics and a middle aged lady with two school going daughters who came everyday to help around the house – cleaning, cooking, washing etc. I hadn’t seen most of my nieces and nephews from my immediate and extended families for fourteen or more years. Many of them were now living in Dhaka. 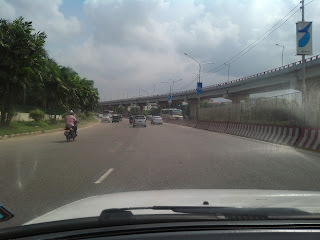 Considering the fact that traffic in Dhaka was definitely one of the worst in the world I knew it would be impossible for me to visit them separately. My strategy was to have a house party or something like that where I would be able to see them all. Somehow this worked out and a large crowd gathered in my parents house a few days later. My brother took the effort to order food and managed the impromptu party. We talked, hugged, eagerly catching up. 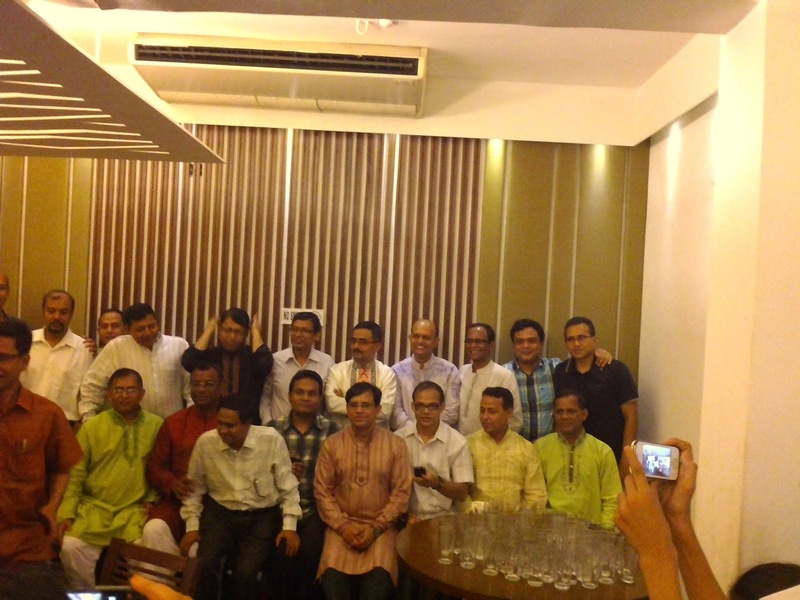 For me it was a great get together after a long time. Though, sadly, the sickness of my dad stayed like a overcast. He was one man who our whole extended family looked up to and nobody wanted to lose him. We arrived in Dhaka on the first day of Ramadan. This is a month when any place that is Muslim dominated completely changes. Eating in public becomes avoidable. Restaurants that offer food before dusk when a fast is broken put a curtain to cover the interior where patrons can eat and drink outside of general view. Folks who fast woke up early morning before sunrise, ate some food and drank plenty of water in preparation for the day long fast when they wouldn’t eat anything at all. While I hadn’t fasted for many years (being not very religiously motivated) and had no reason to eat early in the morning my presence was a must during the iftar when the fast was broken with delicious foods, some fried, some sweet and other special preparations. An ifter where all the family members sat around the ifter table or mat and ate happily is a very pelasant experience. In our house only my mom was fasting as dad wanted but wasn’t in a physical condition to fast. So, the ifter was very light. However, in my wife’s older brother’s house there was an army of people fasting including his young son and daughter. 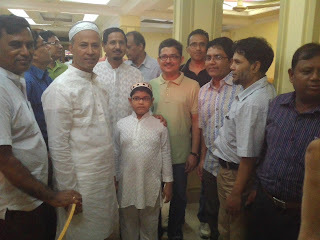 My son started fasting there as well. The ifter looked really fascinating. Here is a list of things that we ate in one of the ifter in his house. One of my most favorite places on earth is my grandparents village, located in the district of Satkhira, little over two hundred miles south of Dhaka close to the deltas of Bay of Bengal where Sunderbans National Park is located. Just recently as the country started the war crime trials in an attempt to bring the people who committed crime against humanity during our independence war in 1971 to justice this region had seen a tidal wave of protests against government. The reason was obvious. Many of the people who had opposed sovereignty from Muslim Pakistan in 1971 were religiously motivated who later established Jamat-e-Islam. Satkhira had been historically a stronghold for them. Two young workers of the student wing of the party were shot to death by police just two days ago during a skirmish. This was a concern as I planned my short trip to the region. My wife was very weary. Her primary concern was my health. She had always maintained that my life threatening sickness that I suffered from after visiting Bangladesh during my last visit was caused by something in the villages – could it be water or food or dust alone. I didn’t totally disagree but was still moving ahead with the plan. On the other hand there were some papers that needed my approval. Dad really wanted me to go and take care of the unfinished business. There were several ways to make the trip including bus, train, plane and private cars. Considering the heavy traffic on the narrow highways and the delay at the ferry terminals on the river Padma I decided to take the nightly train which would travel uninterrupted to my destination using the recently built long bridge over the mighty river Jamuna. 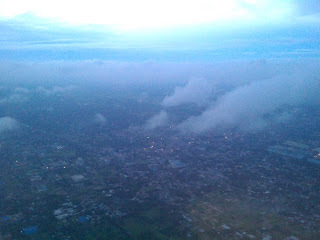 Flying was a choice but it would have required taking a connecting bus to reach my destination from the destination airport at Jessore which added an element of risk in case a political trouble breaks down which almost evidently results in highway blockages. Settled in an air conditioned compartment priced higher than the rest of the accommodations in the train, tucked in a blanket and reading an old book from one of my favorite Bangladeshi writer Humayun Ahmed I traveled through the night to the famous port city of Khulna, my first stop in the trip. My birth city, as well as my siblings, this is a beautiful green city in the midst of towering coconut trees and the home of many of my close relatives. A cousin brother came to receive me. I hadn’t met him for over fourteen years. We hugged. The only night I stayed there was understandably hectic as I tried meeting all my relatives and catching up for the lost time. 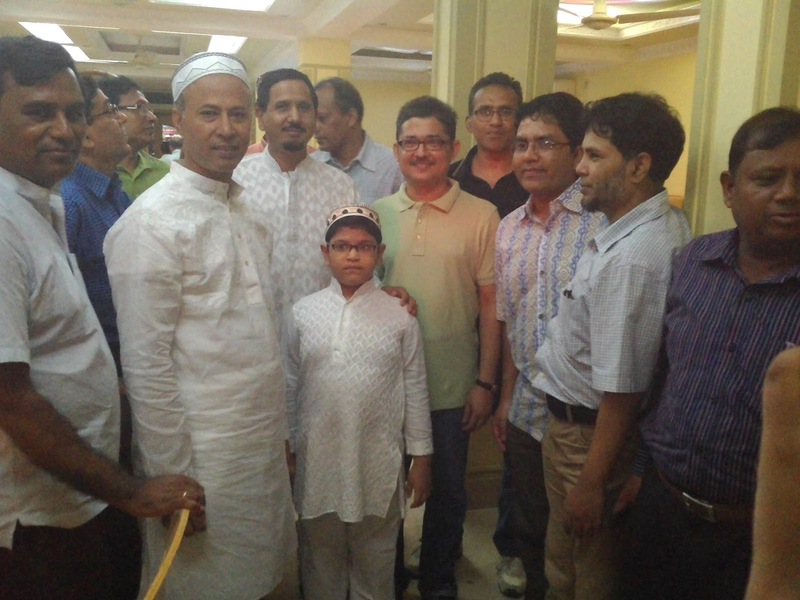 My next stop was Satkhira, a border town with neighboring India. During this part of the trip I boarded on a government bus service called BRTC as it was the only service that offered express service to Satkhira. Even then the roughly 80 kilometer trip took me about three hours. It was pretty good comparing against the other services that stopped every other kilometer to pick up passengers and took over four hours – I learned. The route to Satkhira was a one lane highway with lush, dense vegetation on both sides with numerous pockets with groups of huts and small village markets. Pedestrians, bicycles, motorcycles, three wheeled man pulled rickshaw vans – shared the highway all along the way. The bus weaved through these mixture of crowd frequently running on the other side of the road, sometimes coming dangerously close to head on clash with approaching traffic – an experience that would be difficult to explain. At some point I stopped looking at the road as the thrill of the ride proved too much for a weak heart like me. 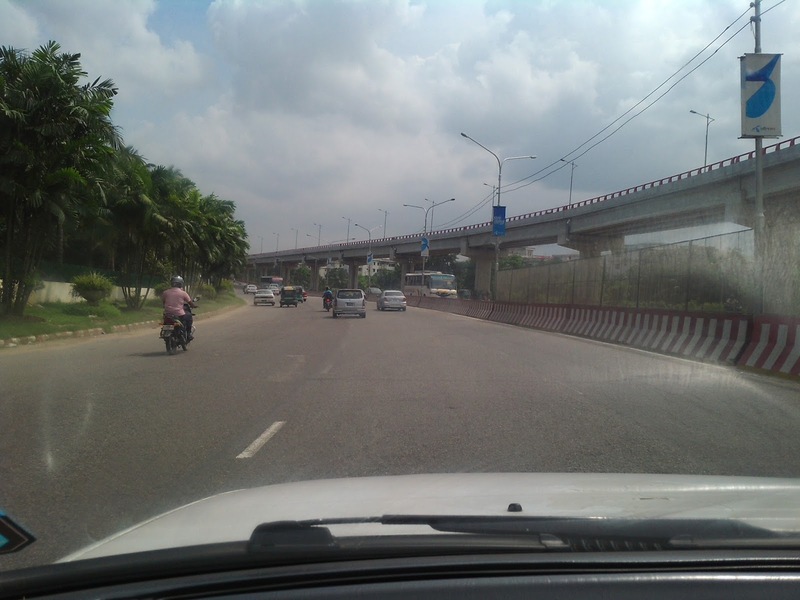 Instead, I tried to forget about the risks and focus on the greenery, the passing villages and the markets. This was the core of the country. There life slowed down, the perception of things changed. In Satkhira I stayed in my uncle’s house. He was the only brother of my dad, fifteen years or so older and had expired only about a year ago. However his widow and the youngest daughter, let’s call her Shermin, still lived in the house. Shermin was only couple of years older than me and had also been widowed a few years ago. She had tied knots once again only a month or so ago to a man in Australia. We were very close during our childhood and had lot of memories roaming around our grandparents house. We talked until very late in the night attempting to catch up everything that we missed over the years. Next day we rented a microbus and to Kaliganj, a small town about 22 kilometers away. This was where we had some businesses to be taken care of. The microbus had no seat belts beside the driver’s one. There was no AC as well. But it was not a very hot day and open windows worked just fine to keep us cool. Not that we had any other options. Later we made a quick trip to our paternal village which was just about five miles away. In last few years several roads were built and many villages were now connected with paved roads allowing busses, private cars, motor cycles to run. It was a narrow road with frequent pot holes in some areas but was still much improvement over dart roads. In last fourteen years a lot of changes had taken place in the paternal home. My grandparents had died long ago. Their memories were still so vivid that I could just feel their presence. They were buried in the fields near the main house, now nicely surrounded by three feet brick walls painted in bright white. In the year 1998 in a big storm the original mud houses fell. After that the mud houses were taken out and a two bedroom small brick bungklow was built. It had modern washrooms with other amenities. The new setup had very little resemblance of what once was my grandpa and grandma’s house but it was the result of a very different vision of my dad who wanted to make sure that no matter where we lived we would have some sort of incentive to come back here even if for a day or two. A nice looking brick banglow with a modern washroom was something sure to create some interest, dad had figured out. This was a place rooted deep inside me. I stayed there only for about an hour but captured whatever I could with my camera. 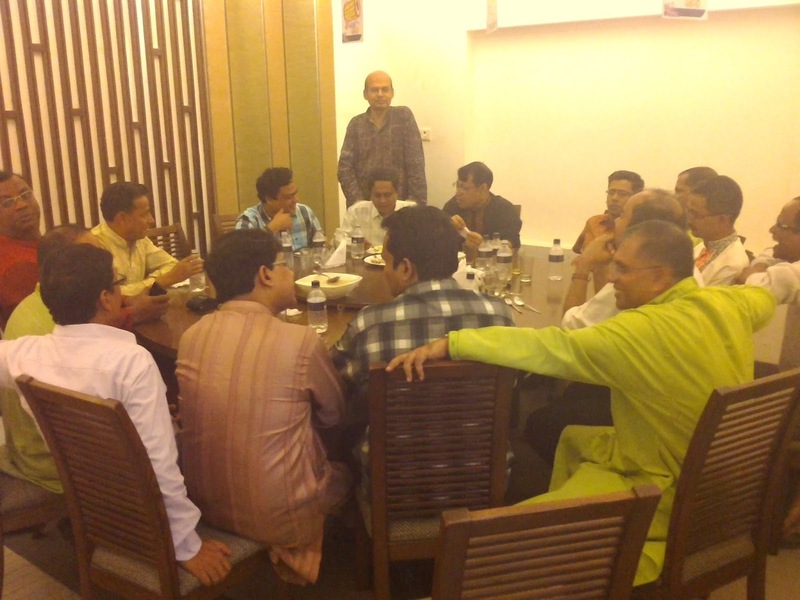 After coming to Dhaka I had the opportunity to participate in two get togethers where my frinds from university and cadet college had gathered. Both the parties went very good and I had met some of my friends after thirty years. Life had passed by so quick. My mother had a rough childhood as her mom died at her birth. She was brought up by aunts and older sisters. Those days had imprinted deep scars in her mind because even after all these years she frequently mentioned it. During this critical period she remained strong, did her daily chores diligently, prayed, read Quran , crushed kerala and papya leave to collect juices for my dad to drink. Papya juice helped with regenerating platelet while kerala juice supposedly slowed down cancerous growth . However, during intimate conversations it became very clear that no matter how determined she looked outside, deep inside she was very afraid fearing dad would expire leaving her all by herself. They had been married for more than 45 years and as a home maker she was used to depend on dad for practically everything that had nothing to do with regular house works. Now, dad in a situation where his life expency became limited mom seemed to fear for the worst. What would she do? Where would he go? if something happened to dad? A woman known for her toughness and rigidity mom sounded rather soft, lost admitting she would have no choice but to spend rest of her life travelling in a circle to her children’s houses. My eyes teared up. How did all these years had passed by. I still saw my parents as they had always been – young and energetiuc. I turned very philosophical. My dad's chemo had finished. Now we needed to wait for couple of weeks before going for the CT scan to determine how weel the chemo workeds. He had been feeling good and bad but still we started to see the contagious smile that he always had before coiming back. Two of my nieces were getting married to men who stayed or studied in Australia. Shermin had married also in Australia. I wondered what was going on in Australia? Not sure exactly how more than four weeks had passed by. Eventually our time to say bye to my parents arrived. Our flight was early in the morning around 5:30. So we had to go to the airport around 3 AM. The return trip was pretty good with no issues. The only problem that we faced was after reaching Toronto. We could not find outr luggage which we later learned had been left in Abudhabi for some unclear reason. Five of the luggages were united with us about couple of days later. The one missing took another two days before being delivered at our doorstep. Nothing was missing. Everybody was happy to return home. We loved it in Bangladesh. It was a truly successful trip, especially the time I had spent with my parents was invaluable.